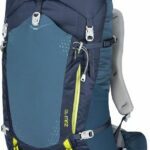 Best Hiking Backpacks of 2019 – Lightweight Recently updated ! A backpack is an essential piece of hiking gear because it allows you to easily carry and organize water, food, additional clothing and other gear. Here we selected and reviewed the best hiking backpacks. We only listed hiking backpacks with volume of 40 to 55 liters because such backpacks are the most versatile. They are perfect for up to 3-day long hikes (depending on the conditions on the trail and the amount and quality of your gear) but also work well for day hikes. However, for longer hikes you will most likely need a bigger backpack. If you need a bigger backpack, check out our review of the best backpacking packs instead. 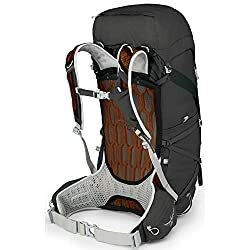 Nevertheless, keep in mind that buying an overly spacious backpack is not the best thing to do, as you’ll have problems stabilizing items in it – they will move around and thus decrease your balance on steep trails. Furthermore, bigger backpacks are also heavier. 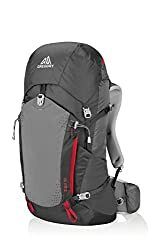 In this review we listed top-notch hiking backpacks which are lightweight, comfortable and have many attachment points and pockets for easy organization. All backpacks in this review are also hydration system compatible – they have a pocket/sleeve for hydration bladder. If you are planning to only do day hikes (without spending nights outdoors), you might want to check out our selection of the best daypacks instead. Daypacks are even lighter but also smaller – in most cases they are only suitable for day hikes. 1. 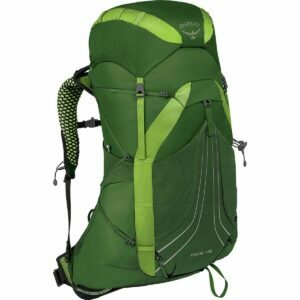 Buying a Hiking Backpack – What is important? All backpacks in this review have internal frames and are thus suitable for carrying heavy loads. Backpacks with frames efficiently transfer the weight from shoulders to the hips (via the hip belt). Carrying a heavy load in a backpack with a frame is therefore easier since the hips are supported by larger muscle groups than the shoulders. In 2014 the Murdoch university in Australia executed an experiment in which they investigated the effect of hip belt use. Participants reported higher levels of stability and lower levels of exertion with hip belt use. The backpanel should provide good ventilation so that the sweat from your back can evaporate, rather than seeping through your clothes and backpack. Therefore, high-quality hiking backpacks have ventilated backpanels which are usually made of foam and covered with a suspended mesh fabric to create some distance between your back and the backpack. Pockets allow you to easily organize your equipment while attachment points are very useful for attaching bulky gear such as trekking poles, ice axes etc. Our selection of the best hiking backpacks includes only backpacks which allow you to organize your gear quickly and easily. High-quality hiking backpacks are lightweight. The lighter the gear, the faster and easier you can hike (read more about this here). In this selection of the best hiking backpacks we only included lightweight products – the heaviest backpack in this review weighs 3 lbs. 6 oz. (1530 grams). Hydration system compatible backpacks have a pocket or a sleeve where you can insert a hydration bladder as well as an opening for the tube at the top. Usually the sleeve/pocket can fit a hydration bladder with a volume of up to three liters. Hydration systems provide easy access to water and are therefore very useful – there is no need to stop and mess around with water bottles. To learn more about hydration bladders read our article Hydration Systems VS. Water Bottles. However, keep in mind that hydration bladders are sold separately. Some backpacks are available in different sizes. It’s important that the backpack matches/fits your torso length as the backpack will otherwise ride too low or too high on your back and thus be uncomfortable. To learn how to measure your torso length, check out the fit section in our Hiking Backpacks Guide. In the table below, you can see what torso lengths the backpacks in this selection fit. It is also important to adjust the backpack correctly (hipbelt, shoulder straps etc.). Learn how to adjust the backpack in our article How to fit a backpack. Weight 2 lbs. 6 oz. 2 lbs. 5 oz. 2 lbs. 13 oz. 2 lbs. 10 oz 3 lbs. 6 oz. Fits Torso 16-20 in. (S/M), 19-23 in. (M/L) 16-19 in. (S), 18-21 in. (M), 20-23 in. (L) 16-18 in. (S), 18-20 in. (M), 20-22 in. (L) 14.5-18.5 in. 15-21 in. 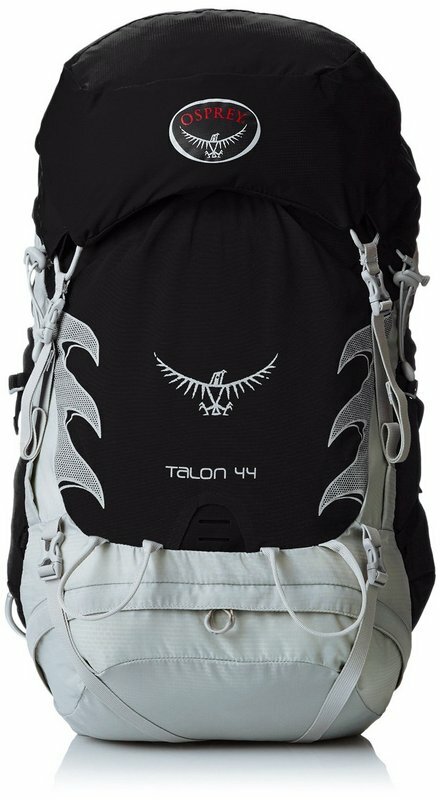 The Osprey Talon 44 hiking backpack is perfect for those who prefer lightweight hiking. The backpack weighs merely 2 pounds. Nevertheless, the functionality of the backpack is not compromised by its low weight. It is equipped with the AirScape back system which is very comfortable and provides good ventilation. 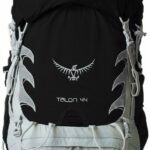 The Talon 44 backpack also has an internal frame for better weight distribution and is equipped with an external water reservoir sleeve which fits water reservoirs with volume of 3 liters. 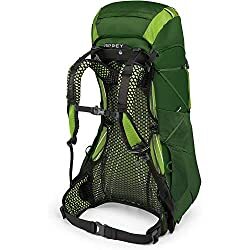 Additionally, this hiking backpack has two stretch mesh pockets on the sides, a front stash pocket, an internal and external lid pocket and two zippered hip belt pockets. The front stash pocket is perfect for wet gear (such as sweaty clothes, rain jacket etc.) which you don’t want to put in the main compartment. The hip belt pockets are big enough for a cell phone, camera and other accessories which you need within easy reach. The backpack is equipped with the Stow-on-the-Go trekking pole attachment system and two ice axe loops. The Osprey Talon 44 backpack is due to its great functionality and low weight one of the best hiking backpacks currently available. 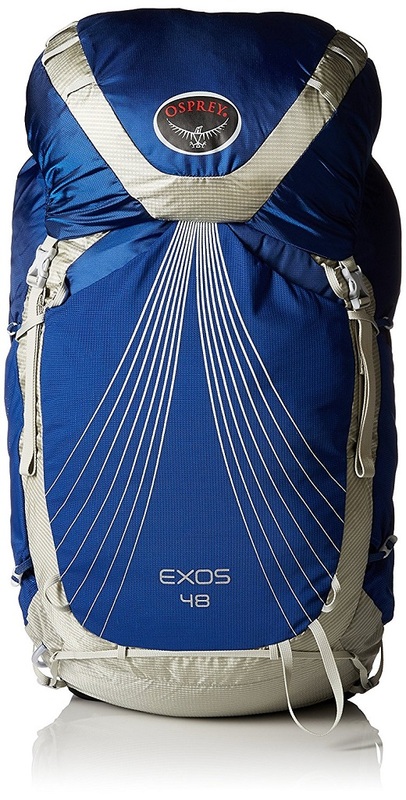 The Osprey Exos 48 hiking backpack is an ounce lighter than the Osprey Talon 44 mentioned above. The backpack has a very light AirSpeed back system with a backpanel that is covered with a suspended mesh fabric for good breathability. The AirSpeed back system also includes a lightweight internal frame to efficiently transfer the weight from the shoulders to the hips. 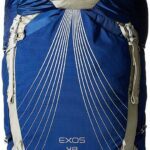 Despite the low weight, the Exos 48 backpack has well-padded shoulder straps and hip belt, and is thus comfortable to carry. It is equipped with an external lid pocket, internal lid pocket, large front stash pocket, two stretchy side pockets, two hip belt pockets and two pockets on the shoulder straps. It also has attachment system for trekking poles and a single ice axe loop. The lid can be also removed which is convenient for lightweight hiking. 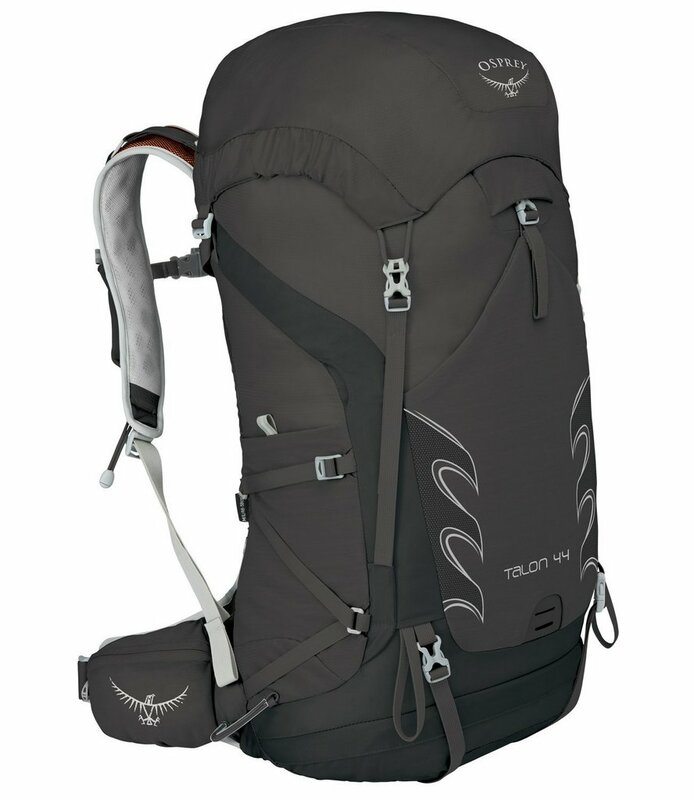 In comparison to the Osprey Talon 44, the Osprey Exos 48 is lighter and has a removable lid. However, it doesn’t have an external hydration bladder sleeve (but an internal) and also no bottom access (zipper) to the main compartment (it only has top lid access). The Gregory Zulu 40 hiking backpack is very robust because it is made of a sturdy 210-denier nylon fabric. However, due to the robust fabric, it is also a little heavier than the Osprey backpacks listed above. 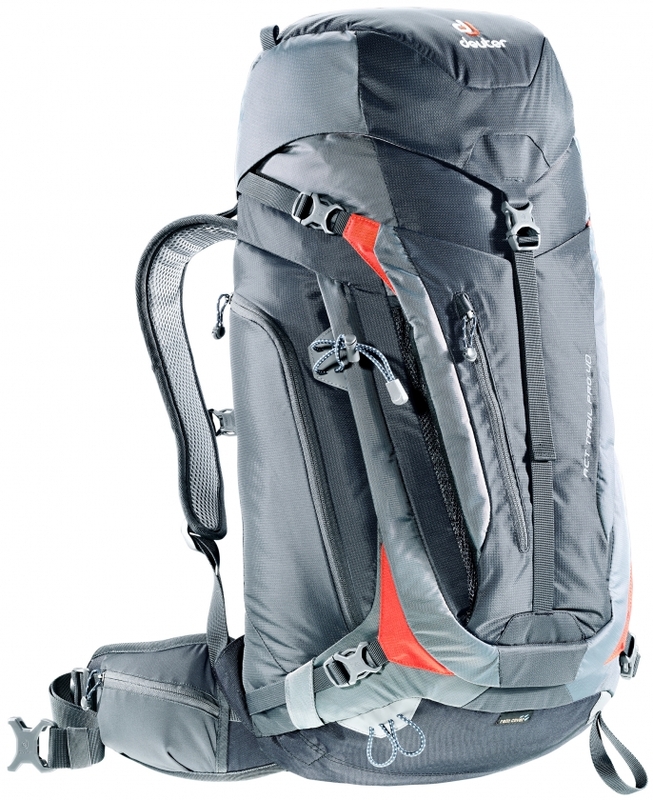 Nevertheless, it is a great backpack for hikers, trekkers and mountaineers. 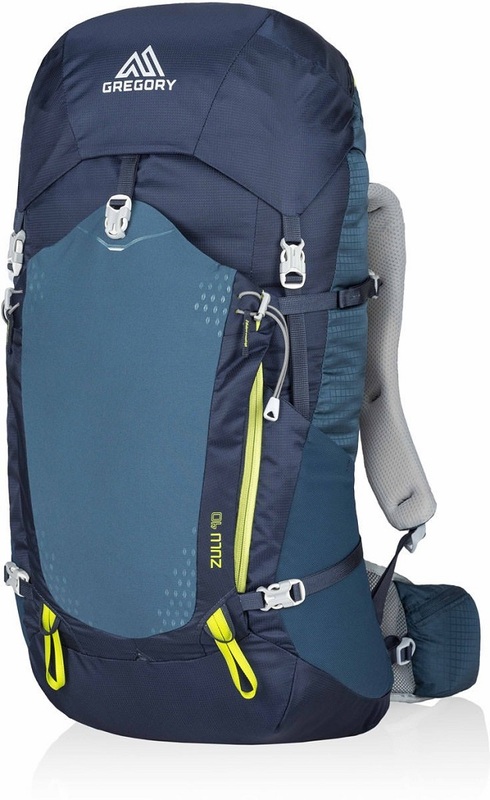 The Gregory Zulu 40 backpack has a suspended mesh backpanel and an internal frame. Therefore, it is very comfortable (ventilation) and can easily be used for carrying heavy loads. It has two stretchy side pockets, two hip belt pockets, internal lid pocket, external lid pocket, large front stash pocket and comes with a rain cover. The main compartment can be also accessed through a U-shaped zipper on the front side (beneath the stash pocket) which is indeed very useful. 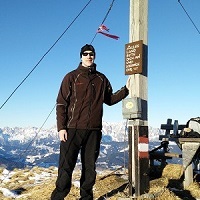 The backpack is also equipped with loops for an ice axe and trekking poles. The Gregory Zulu 40 hiking backpack is a great option for those who want a very durable backpack for hiking, trekking and similar activities. The Kelty Redwing 44 hiking backpack is a hybrid between a top-loader and a panel-loader. It has a large U-shaped access to the main compartment and therefore it allows you to easily get items out. On the front side, it has a large organizational pocket with several sleeves and small pockets. 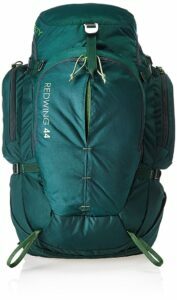 The Kelty Redwing 44 also has two large zippered side pockets and two stretchy mesh side pockets which are ideal for storing water bottles. The hip belt, shoulder straps and backpanel are well-padded for maximum comfort. Additionally, this hiking backpack is equipped with a front stash pocket, ice axe/trekking pole loops and a convenient carrying handle on the front side. The hip belt is removable which is useful in case you are planning to use the backpack for everyday life. 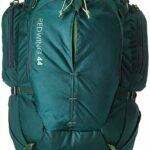 The Kelty Redwing 44 is thus best for those who don’t want only a hiking backpack but also a backpack for everyday use (it has more pockets than other backpacks in this review). 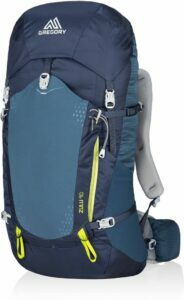 The Deuter ACT Trail PRO 40 is an extremely durable and comfortable hiking backpack due to its well-padded shoulder straps and hip belt. However, it is also the heaviest backpack in this review. Nevertheless, it’s a great option for those who want a highly functional backpack and don’t mind carrying a little more weight. The Deuter ACT Trail PRO 40 hiking backpack is also perfect for carrying heavy loads because it’s equipped with a very strong frame (steel). For storing gear, the backpack has two zippered lid pockets, one stretchy side pocket, one zippered side pocket, front stash pocket, front zippered pocket and two zippered hip belt pockets. The Deuter backpack comes with a rain cover and has ice axe/trekking pole loops. 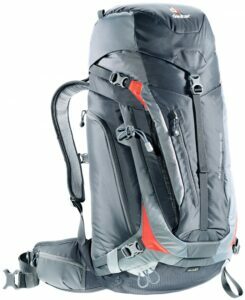 It also has a U-shaped access to the main compartment on the front side which comes in handy on long hiking trips. The Deuter ACT Trail PRO 40, due to its weight, might not be the best backpack on the market but it does provide great functionality and durability. 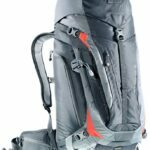 How big a backpack do I need for hiking? The required size of a backpack depends on the duration and required gear for your average hiking trip. For example, if you are doing a hike in winter conditions, you will need a bigger backpack than if you are doing a simple summer hike, because you will have to bring bulky insulated clothing, winter gear etc. Backpacks with a capacity around 40 liters are usually suitable for up to 3-day long hikes. For day hikes you can use a daypack. Daypacks usually have a volume of less than 30 liters.